We have been walking up a steep gradient for eight hours, I’ve not eaten for six. Waking up at midnight means that light is provided by the moon and stars above, as well as our LED head torches. I can also see the teasing light ahead being emitted by other climbers – this is the only thing giving a sense of what we are actually climbing and it is truly daunting. One of my friends has been hallucinating for some time now due to the lack of oxygen at such high altitude, fortunately my own vision is as of yet unimpaired. When the sun rises after what seems like an eternity I am filled with a sense of achievement and renewed determination. I can do this. I have only just come round to finding the time to use my words to reflect on what was truly the experience of a lifetime. Between completing my Master’s Degree in Medieval History and living in Seville at the end of last year, it seems that the last part of 2014 rushed by in a wonderful way. So it is now, nearly five months later that I have the pleasure of regaling you with my adventure to the Roof of Africa. 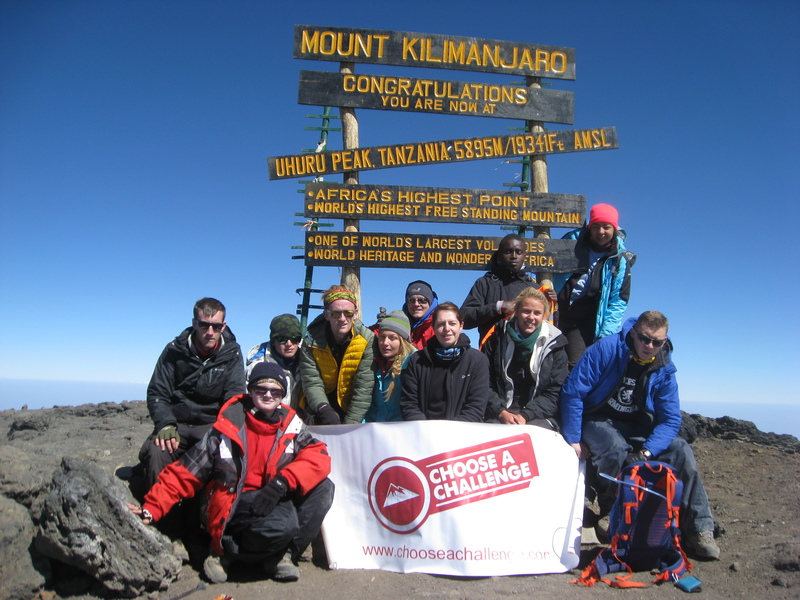 It was November of 2013 when I signed up for a charity trek to climb Mount Kilimanjaro for Dig Deep. 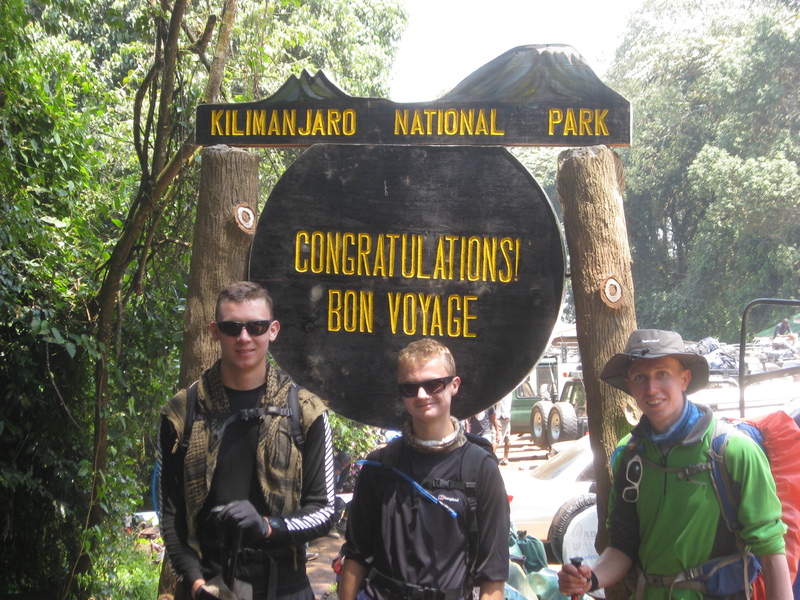 At the time it seemed like a distant objective, with nearly a year to train myself for the trek and to raise funds for the inspiring work that Dig Deep undertake in rural Kenya. This incredible charity works with schools and communities to better their access to clean drinking water, sanitation and sustainable energy. You can read more about how they do this on their website. After a whirlwind nine months of fundraising, training and spreading the word it was already time for me and my fellow intrepid trekkers from the University of Birmingham to board a plane bound for Nairobi. The reality of this was slow to sink in for me, even after we boarded our connecting flight in Doha to complete the airborne leg of the journey. It’s difficult for me to pinpoint exactly when it did; perhaps when on the long bus transfer from Nairobi to Moshi – a Tanzanian town at the foot of Mount Kilimanjaro. Or maybe it was during the briefing by our guides the night before our challenge was to begin, or even during the first hours of the trek itself. These first hours were spent in the glorious rainforest environment found past Machame Gate; where the novelty of hiking was strong. At 1640m we were already hundreds of metres higher than Ben Nevis – the highest point of the UK. This is the most habitable section of the mountain and the monkeys in the trees seemed delighted to be there. After several hours of slow paced hiking the forest rather suddenly disappeared and revealed the terrain for our first camp, Machame Camp at 2850m. Dinner was hearty in order to recharge the batteries we had drained during our first adventurous day. After our first night on the mountain we were finally awarded a view – albeit a brief one – of the beast to be conquered. Mount Kilimanjaro was visible in the clear sky on the early morning, though vanished into the clouds after a few fleeting moments. The mountain looked incredible in the morning sun – majestic and beautiful with its snow-capped peak glimmering like a gigantic pearl. Marvellous as it was to be granted a view of what we were actually in Tanzania to do, it was also rather nerve wracking. The expedition continued into the sky. Trees became gradually sparser and the terrain started to look more and more inhospitable. It was also this time when the rain arrived. Not heavy rain, rather the sort of rain that feels as if you’re walking through a cold, falling mist. Unpleasant as this was, were all well equipped with packable cagoules and waterproof trousers so were not too phased by the wet weather. The main issue came as the rocks we were traversing became more and slippery though the team work deployed to help each other up the mountain was inspiring and reassured us that we had each other’s backs. Upon reaching Shira Camp (3810m) I spread my soggy clothes over a well-placed tree and started to take in the environment around me. Mountains are stunning environments and these foot hills of Kilimanjaro offered absolutely stunning vistas which made me realise how remarkable was this adventure. Before another hearty dinner it was time for a brief hike further up the mountain in order to aid our acclimatisation to the high altitude. During this ramble the guides showed us what the climbers of old used for accommodation. Before the development of modern, lightweight tents climbers would stay in makeshift shelters – at Shira they had the luxury of caves. It is now forbidden to camp in these but while we posed inside one of them for a team photo as the fog gathered outside, I began to understand what a godsend a cave must have been for weary adventurers. Another jaw dropping view in Kilimanjaro the following morning charged my batteries for the day ahead (helped by the usual mountain breakfast of porridge, toast and eggs). The third day of trekking saw us soar to high heights as we pushed on to Lava Tower at 4630m. This leg was where the altitude sickness started to really hit me, first with a slight headache but soon with a strong feeling of nausea. Slow and steady most certainly wins the race here as does water, water and a lot more water – helping my confused body to get used to the lower levels of oxygen found above 3000m. My altitude sickness was all but cured by the sight of something I certainly had not expected to see this high into the sky. As we walked along the trail at around 4400m I heard a small scuffle of rocks and turned around to see a tiny squirrel going about its day. I found it extraordinary that this squirrel lived at such an altitude where the only plants were the various mosses and lichens growing on the rocks. After drinking enough water to sink a ship and eating enough granola bars to feed a small family of bears we managed to trudge to Lava Tower. Features like this serve as a reminder to the fact the Mount Kilimanjaro is in fact a volcano. After lunch (I found it strange to think that we had done all this before lunchtime) it was time for us to descend down to Barranco Camp at 3976m. Descents like this are another way of allowing the body time to adjust to the altitude. Getting down the first icy section of the descent made for some of the more ungraceful climbing I have ever done but once we were back on surer ground I was able to walk upright again and admire the scenery. 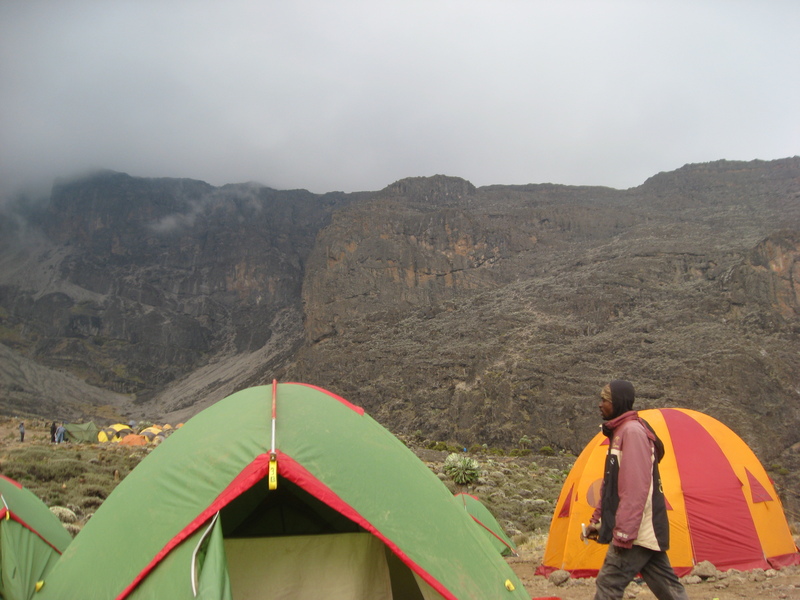 Barranco Camp is bordered by the mighty Barranco Wall on one side, and hills on two of the others. On the fourth side of the camp the mountains open up to reveal a valley where you can see all the way to the ground, thousands of metres below. After gazing in awe at this view for what was either a few moments or a few hours, I looked to my left at the Barranco Wall (which towered hundreds of metres above me) and began to smile with excitement. Tomorrow it would be our time to climb it. The scramble up the mighty Barranco Wall on the fourth day of the trek was one of the most thrilling parts of the trek. The early morning dew made the rock face slightly slippery but our expert guides were able to safely lead us up the dizzying heights of the wall. At the top of the wall we were able to get a sense of what we had already achieved, as we gazed over the clouds and at the peak of neighbouring Mount Meru. Spirits were high at this stage and as we relaxed for a few minutes and took some group photos with the guides we were really starting to gain a sense of confidence that we could make it to Uhuru peak, which towered majestically (and slightly ominously) above us. As we pushed on to our lunch stop the thin air began to pose another issue. Now that the clouds were below us and the air was even thinner, there was little to get in the way of the sun which was beating down upon us. Heatstroke became our arch nemesis at this point, and the importance of keeping one’s head and neck covered became clear. The landscapes by now looked positively baron, almost Martian, yet still beautiful. After a tough few hours hiking we reached our lunch stop where we loaded on some much needed sugars, carbohydrates and protein. Red faces showed that the sun had been working its ways on us, and some members of the team were struggling against heat stroke. After lunch it was time for us to power on to Barafu AKA Kilimanjaro Base Camp. At 4673m this would be the highest we had yet reached and the highest altitude we would sleep at during the adventure. The afternoon hiking session was tough going; the gradient steep and the terrain unforgiving. Only an hour in to it and I was already thinking about a cheeky granola bar boost. By the early evening we were approaching base camp, where I was taken aback by the fantastic community of adventurers we found there. All the way up the mountain we had been crossing paths with other climbers who were always keen to say hello and offer encouragement. This reached another level upon entering base camp where everyone climbing to the Roof of Africa seemed to understand the effect that a few friendly words could have on the morale of others, and in turn their ability to reach the top. Bed time is very soon after dinner at base camp. This is for two reasons – the first of which being the sheer tiredness that comes at this stage of the trek. 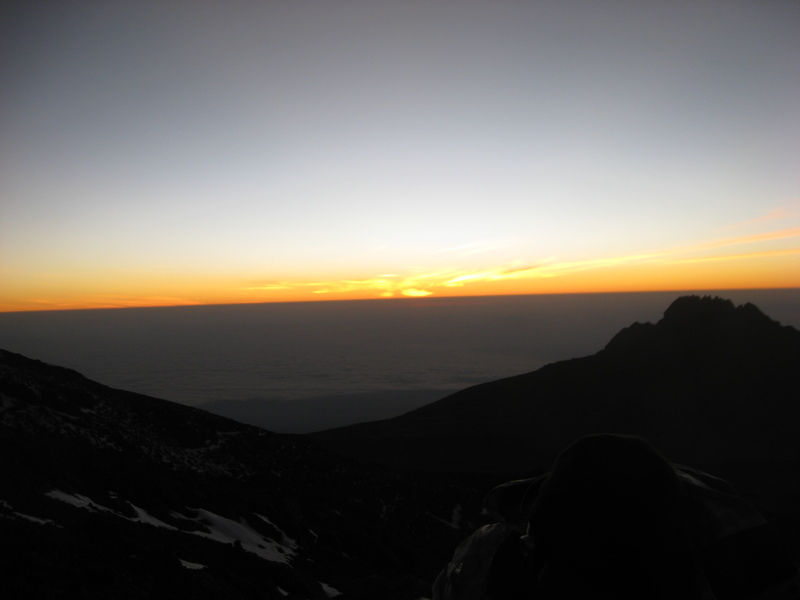 The second reason is that the ascent to the summit starts at approximately 1am, in order to reach it early in the morning and get back to base camp for lunch. And so it was. At midnight we were awoken by our guides and after getting dressed quickly into seven layers of mountain gear and eating a quick breakfast of biscuits and popcorn it was time to begin. Two hours into the summit ascent I had finally finished the last of my sacred granola bars, and the tube of my hydration pack was starting to freeze. Breathing to the absolute full capacity of my lungs was for the time being holding off the effects of altitude sickness that would inevitably arrive as we took on the steepest climb of the trek. Six hours later, I was running on absolute empty when the sun rose. The mental boost that came with the rising sun proved that great things are possible when you put your mind to it, even when your body is giving up. Even with my mental efforts I was very nearly defeated by the hill leading up to Stella Point – the second highest peak of Kilimanjaro at 5685m. Pushing the limits of slow and steady I stopped to catch my breath after every third step, at some stages I felt as if my lungs just weren’t working. Seeing an unconscious climber from another team being rushed down the mountain demonstrated the evacuation procedure we had been briefed on prior to departure. The encouragement of my teammates alongside their own inspiring perseverance gave me the will to keep going and sometime later we dragged ourselves to the sign post marking Stella Point. Here we were reunited with a few other members of our team and given the chance to attempt to get some oxygen in our systems before psyching ourselves up for the final push, and what would be the hardest walk of my life. 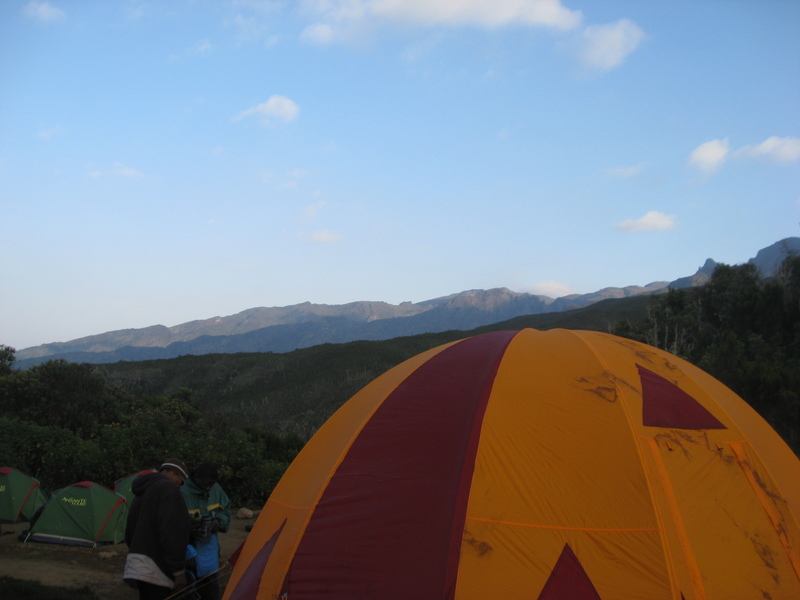 From Stella Point to Uhuru Peak is a climb of just over 200m over a distance of around a kilometre. This walk took around an hour to complete, with my body running on empty and each step seeming to take up all of my mental processes. One of the exceptional guides we were blessed with stayed at my side and offered a helping hand as my balance started to fault. Climbers from other teams returning from the summit gave us final words of support as we closed within 100m of Uhuru Peak. We could see the wooden summit marker now. To our left was a stunning view of the great ice field below, while to our right was the dormant volcanic crater. A few minutes later (yes I was walking that slowly) I could start to make out the words on the summit marker – something about a wonder of the world, apparently. As I closed within just a few metres of the summit I began to feel incredibly emotional and this feeling intensified when I placed my hand on the sign. I had done it. 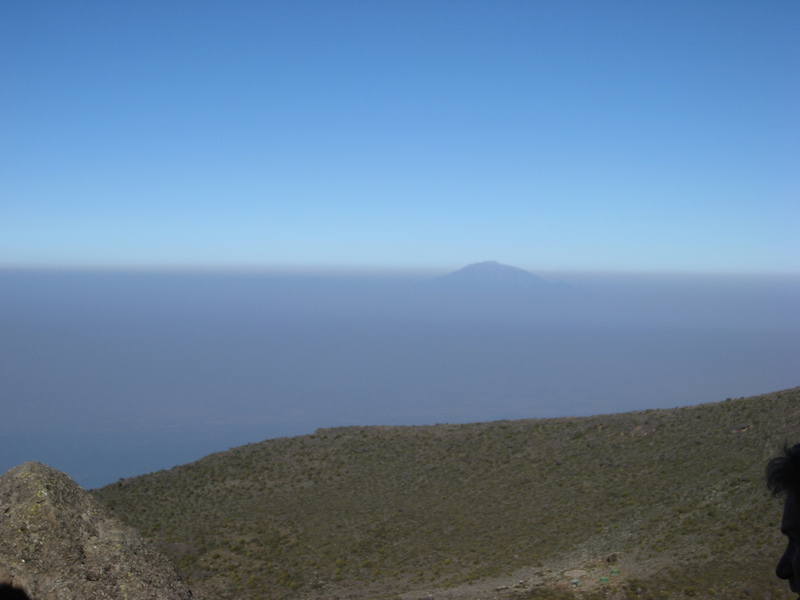 Climbers are given only a short time at the peak (5895m) due to the low oxygen levels before being led back down again. We took group photos that for the rest of my life I will feel proud when I look at them and took some moments to contemplate what we had actually achieved. The Dig Deep team rose over £30,000 for Dig Deep between us and had completed an adventure that we had been building up to for nine months. After these brief moments to soak up our sense of achievement and gaze in awe at the views offered at such high heights, it was time for us to head back down to Barafu Camp. It was this leg where my mind went to some peculiar places that are best described as being similar to the feeling one gets when waking from a particularly vivid dream. In the moments after waking up sometimes it is hard to tell where you are, when it is and what is really going on. I had this feeling an alarming number of times on the journey back to Barafu, as my brain still suffered from a lack of oxygen and also from complete exhaustion. An especially brilliant member of the summit crew gave me vital assistance at this stage – offering an arm for me to lean on and engaging me in casual conversation to keep me focussed. I can safely say that without his assistance at that time I likely would have been rushed down the mountain in a far worse state, similar to the man I had seen earlier that day. Upon reaching the camp, my new friend left me to recover my strength and take on some much needed food. I was sad to see him go, and promised that I’d keep an eye out for him as we continued down the mountain. Amazingly it was barely time for lunch now, but it seemed as if I had been awake for days. After a few hours to sleep, eat and hear the summit stories of the rest of our team we continued down to reach Millennium Camp (3820m), and our last night on the mountain. 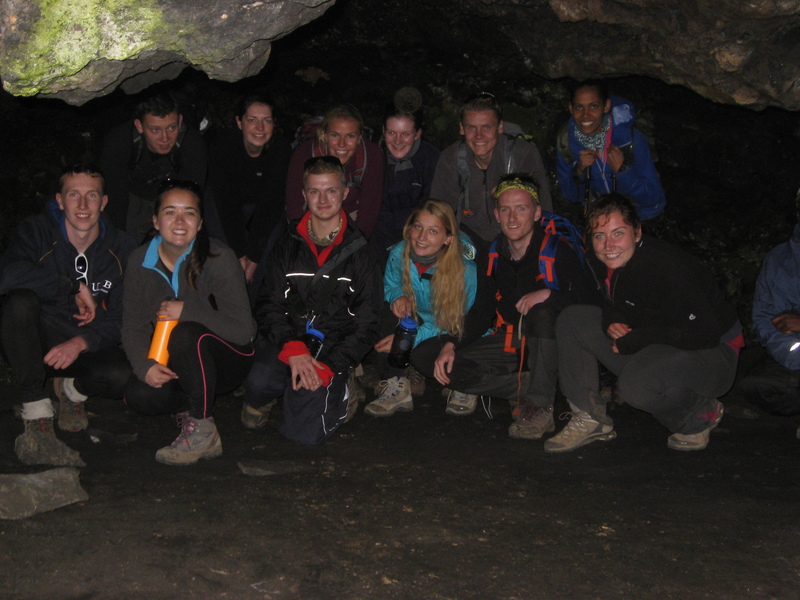 The debrief that night by the guides made me feel honoured to have been led up the mountain by such remarkable people. When someone who could reach the summit in eight hours praised our efforts of the past few days, I knew we had all done exceptionally well indeed. The next day it was time for us to get off the mountain – with twelve hours of hiking to descend the last 1500m to the gate where it all began. I came across the guide who had been so brilliantly helpful the day. I was nearly in tears when I thanked him for what he had done for me, while he was happy to see me looking more alive. 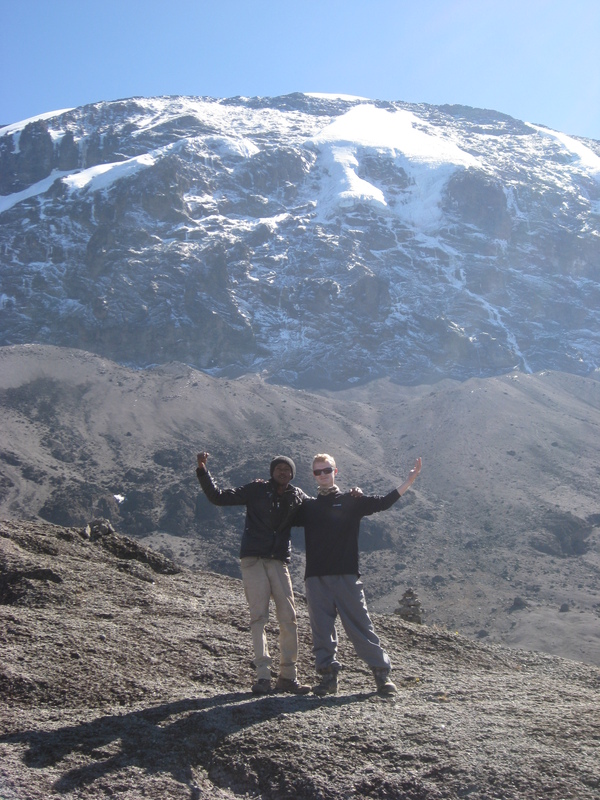 The Kilimanjaro Porters’ Association looks out for the needs of the guides and porters who work on the mountain on a daily basis, and I highly recommend having a read of what the association does for them. They truly are a remarkable bunch of people who even when working in such a challenging profession are still prone to spontaneous song and dance. Their rhythmic African chants were felt in my very soul and were unlike anything I have ever heard before. Once we had been transferred to our hotel for the last night of the adventure we met with our guides and were presented with our certificates to mark our achievement, and with it the adventure was complete. I have never pushed my body and with it my mind to such extremes, and have never felt such an incredible feeling of achievement. I am truly proud of what I did in August 2014 and feel honoured to have done it with such an inspiring team of fellow climbers, with whom I look forward to more adventures in the future. I am also proud to have contributed to a cause as wonderful as Dig Deep’s and would encourage anyone thinking about a charity challenge to do it. On a last note, I would like to dedicate this post to the guides and porters who make their living on Kilimanjaro and wish anyone going on an adventure of their own to have the time of their lives.